There has been a long pause here with writing. Life, new grandbabies, joys, heartaches, homeschooling, public school, graduations, running with more extra curricular activities than in years past, and just life! God paused the writing. I used to “think” writing a lot. But God stopped a lot of my mind thoughts with that. I like writing, but the writing went elsewhere, including a lot of snailmail letter writing. The last few weeks as another heaven anniversary of our son approaches, my writing mind wanders more. We have an amazing joy on Matthew’s anniversary date. I was anticipating it to be good. We have something to celebrate on his heaven date. There is joy again. But . . . there’s still the ache that resurfaces at unpredictible times. Friday afternoon I came home to the kids watching old videos from the year our son died. To see his face as I remembered him those last months, to hear his voice and laughter. Oh how I wanted to reach through that screen and hug that boy. And then, there were areas I sure did not want to see. Where he died (which within weeks after his death was totally gutted and remodeled). I didn’t want to remember. It sucked the breath out of me. And satan reminded me of my failures . . . where I messed up . . . what I could have done differently . . . the what if’s. My husband and I got out for dinner. He felt that air sucked out of him too. I am thankful we can share our hearts on this together and “get it” where most (thankfully) don’t understand. We text one of the kids asked for videos not to be on when we got home. I am thankful they have joy seeing it. But sometimes, even the joyous times, just plain hurt. My friend Deb did not know the whispers I was hearing. I needed to get out of my downer mood, and remember the joys I can so celebrate and not listen to those voices of dispair. I know Matthew would want us to. He is alive, just not alive by our sides. I am thankful the grief of missing Matthew hit days before. As I told my friend, there will always be that gray cloud on the 11th, but there’s more blue sky showing and the gray cloud is not right over our heads. The sun is poking through because of the Son. I can’t help but think Matthew knows we have a reason to celebrate. He rejoices in God’s presence. On December 11th, I am thankful for two lives – Matthew’s life in heaven, to know without a doubt he is there with Jesus and for this precious one year old. I cannot rejoice Matthew died. His death did not steal all our joy and Satan did not win, but because of God’s son’s death and ressurection, Matthew lives in heaven and THAT I can rejoice over! And now to celebrate here on Earth, our youngest grandson’s bright cheery smiles and sweet cuddles. God gave our family an amazing gift for this day to carry us through many years ahead. Our other grandson also has Matthew as his middle name. God is good – always. If you do not know Matthew’s story, please read it and talk with your children. His death may save your child’s lives. ometimes holding her seems like it was just a dream…sometimes a bad dream; most of the time a bittersweet dream that I know someday I will wake-up from for a happy, never-ending good-bye. Today marks Angela’s 17th birthday. Jessica reminded me today that Melody and her would have both been 16 at the same time for just over a month together. This when I get the lump in my throat. I wonder what it would have been like with the three girls so close in age. But it’s ok. They have eternity for that. A few weeks ago I read this blog post: We Lost a Child, and Gained Something Greater. So this year, this is a short remembrance. It’s worth stopping reading here and reading that article. ugust 5th marked the 5th anniversary of the 33 Chilean’s who survived a half mile underground for 69 days. On November 13, 2015, Alcon Entertainment and Warner Bros. will release a new movie based on this real-life event when the gold and copper mine collapsed, staring Antonio Banderas and Lou Diamond Phillips. Warner Bros. has made a special trailer (see below) for Christian and conservative outlets that spotlights the faith themes of the film. I thought my readers may be interested in seeing it. CNN also had a special on their story last week, sharing how the Chilean’s faith got them through their ordeal. One Chilians said, “as everyone celebrated the rescue of the 33 miners, many pointed to a higher power — a 34th miner — who they say was with them all along.” It is also worth watching the special on CNN. or those who have followed my blog through the years, you will recall that we have a daughter who has had three open heart surgeries. (She is now almost 19 years old and doing amazing!) Her heart defects were discovered a few days after she was born and she had her first open heart surgery at 13.5 months of age and about a month after that. Before she had her first surgeries, her pulse oximetry was closely monitored, which is a way to measure the oxygen levels in your blood. We had a machine at home, about the size of a tablet, but about 6 inches deep. It had to be plugged in and then had a long cord to attach to her finger. Through the years, I noticed the pulse oximeters getting smaller and smaller, but I never imagined I could actually own one! I own one now! And it’s small . . . and it’s portable . . . and it’s PINK! 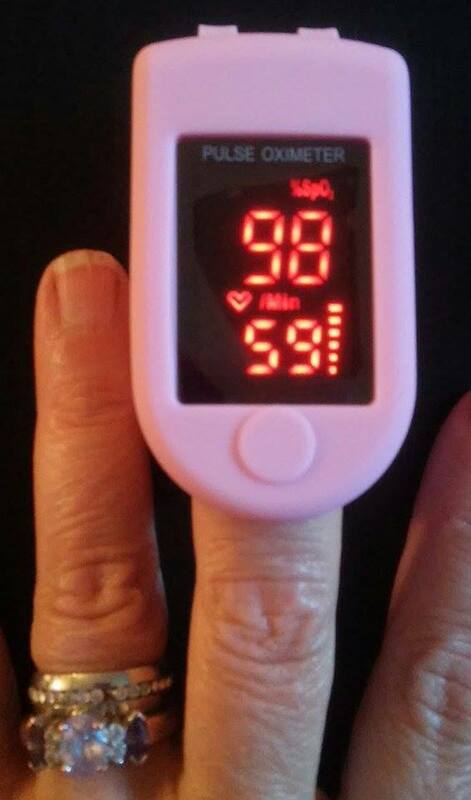 🙂 Right now Amazon has this Pulse Oximeter Oximetry Blood Oxygen Saturation Monitor with silicon cover AND batteries for only $19.95 (regularly priced $69.99)!! I’ve been very pleased with it’s accuracy and how quickly it shows results. It also comes with the batteries. If I feel there’s a need to monitor closely, it can easily be thrown into my purse. If this is something you or a loved one may need, NOW is the time to get one at a great price!! I received this product at a reduced cost in exchange for my honest, unbiased review. 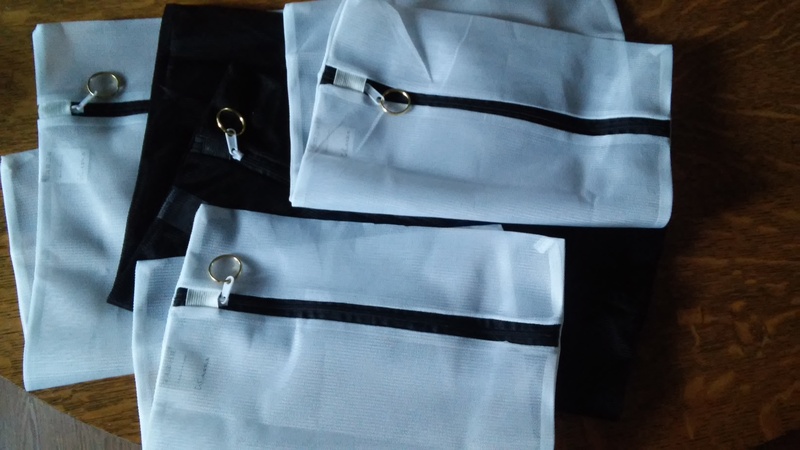 REVIEW: Mesh Laundry Bags TO THE RESCUE of GIRL DRAMA! But then there’s still the mix-ups of missing socks and underwear. There always seems to be unmatched socks and seems to happen within days after new socks are put into the laundry. And, it can cause the girl drama – whose socks are whose and who is wearing whose socks. What has helped is each child has their own laundry basket. But this has not eliminated the lost socks and undies, until . . . I started their own individual Mesh Laundry Bags. It certainly didn’t end all drama and as with trying to get into any new habit, it requires nagging reminding and more nagging reminding. When the kids finally realize they can always have clean, matching socks, it can inspire them! Another thing that helped, was I put a key ring on the zipper part of the mesh bags, so they can be hung on a hook in their closet or over a hanger. Again, it keeps the Mesh Laundry Bags within easy access. NOTE: I was given a set of the Mesh Laundry Bags at a discounted cost in exchange for my honest, unbiased review and blog post. Press Release: God’s Not Dead 2 – Coming out Spring 2016!! asn’t it amazing to see how well, God’s Not Dead movie went over?!?! I just received the following press release, to share! I am excited to see this sequel! (Los Angeles, CA) Pure Flix, the largest independent faith film studio just wrapped production for God’s Not Dead 2: He’s Surely Alive.This film is the highly anticipated follow-up to the immensely successful God’s Not Dead, which grossed over $60 million last year at the box office. God’s Not Dead 2 features a star-studded cast that includes: Melissa Joan Hart (Melissa & Joey), Jesse Metcalfe (Dallas),David A. R. White (God’s Not Dead), Hayley Orrantia (The Goldbergs), Ernie Hudson (Ghostbusters), Sadie Robertson (Duck Dynasty), Robin Givens (Head of The Class), Fred Thompson (Law & Order), Maria Canals-Barrera (Cristela), with Pat Boone and Ray Wise (Robocop). Other returning cast favorites include: Trisha LaFache (Amy Ryan), Benjamin Onyango (Reverend Jude), Paul Kwo (Martin Yip), andNewsboys (Michael Tait, Duncan Phillips, Jeff Frankenstein, and Jody Davis). AMAZON ALERT! Great price on men’s suits! aving had married off three of our children, we know the expenses of weddings and we did quite low cost ones at that. One of our son-in-laws chose to have the guys buy their suits, and this actually saved money. The cost of tuxedos sure can add up, with not only the cost of the rental but the driving to and from the chosen place, some times quite a distance off. I just noticed on Amazon these Luciano Natazzi Men’s Modern Fit Two Button Faint Faint Pinstripe Navy Suits are on sale for $130-$170 which are normally, $550. That’s quite a bit off! In reading the reviews, I did notice these run small, so if you order, be sure to order at least one size up!